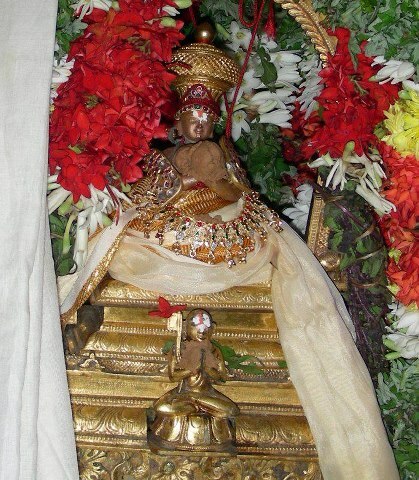 91. sEshathvam AthmAvukku svarUpamAnAl dhEhaththukku virOdhiyAy niRkum nilai kulainthathu. சேஷத்வம் ஆத்மாவுக்கு ஸ்வரூபமானால் தேஹத்துக்கு விரோதியாய் நிற்கும் நிலை குலைந்தது. As said in "Athma dhAsyam harE: svAmyam" (ஆத்ம தாஸ்யம் ஹரே: ஸ்வாம்யம்) - srIman nArAyaNan is the master and all AthmAs are his servants, if the jIvAthmA understands that truth clearly, his body will no longer be identified as "azhukku udambu" (அழுக்கு உடம்பு). Translator's note: Generally our body is considered to be a hurdle in our spiritual progress, since attachment towards body and bodily comforts will take us away from bhagavAn. But, when we understand our true identity, we automatically use all our belongings starting from the body in the service of bhagavAn. In that case, our body is no longer useless/hurdle. This principle can be understood from the words of thirumAlai ANdAn (one of the AchAryas of srI rAmAnuja). In nAchiyAr thirumozhi, 11.6 vyAkyAnam, periyavAchAn piLLai identifies ANdAn’s AchArya bhakthi through his own words. ANdAn used to say that “Even though we should give up attachments to body and all bodily belongings, this particular body should not be ignored since it was this body through which I got ALavandhAr’s sambhandham (which ultimately leads to our eternal kainkaryam in paramapadham)”. 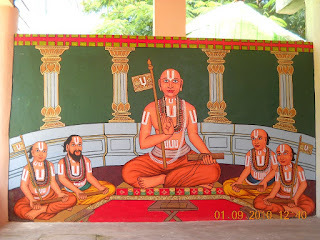 92. sEshavasthuvin vyAbAramadaiya sEshithanakkadimaiyAga ninaiththirukkiRapadi. bhagavAn who is the supreme master will consider the activities of the jIvAthmA as subservient to him, since the jIvAthmA himself is subservient to him. Translator's note: When a jIvAthmA surrenders to bhagavAn, bhagavAn takes full control of jIvAthmA's life. piLLai lOkAchAryar explains this principle in mumukshuppadi 258th sUthram while explaining charama slOkam. 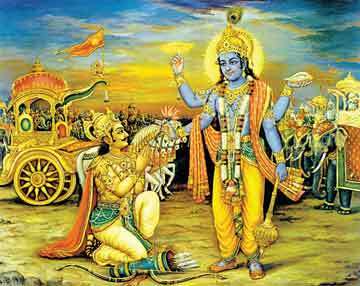 In charama slOkam, krishNa says to arjuna "mOkshayishyAmi" (மோக்ஷயிஷ்யாமி) - I will protect you. piLLai lOkAchAryar highlights in his sUthram "ini unkaiyilum unnaikkAttith thArEn, en udambil azhukkai nAnE pOkkik koLLEnO?" (இனி உன்கையிலும் உன்னைக்காட்டித் தாரேன், என் உடம்பில் அழுக்கை நானே போக்கிக் கொள்ளேனோ?) - I will not let you take care of yourself, Will I not clean the dirt on my body myself?". Here mAmunigaL's commentary is classic. Let us see the gist of it. krishNa says "Thus far, you have been thinking yourself as independent. But now you have surrendered unto me after understanding yourself as a totally dependent entity just as the body is totally dependent on the soul". krishNa comforts arjuna by saying that it is his own responsibility to remove the ignorance from the mind of arjuna and protect him fully. 93. avathAra kAlaththil uthavAthavarkkum izhakka vENdAthapadiyiRE kOyilgaLilE vanthu kaNvaLarvathu. அவதார காலத்தில் உதவாதவர்க்கும் இழக்க வேண்டாதபடியிறே கோயில்களிலே வந்து கண்வளர்வது. bhagavAn descends as various incarnations to dispel the miseries of his devotees. For the benefit of the ones who are born after his incarnations are complete (so they dont miss out on his mercy), he comes and lies down at various temples like srIrangam, etc. Translator's note: In bhagavath gIthai 4.5 to 4.9, kaNNan emperumAn reveals the purpose of his many incarnations. He says that he appears time and again to protect his devotees, annihilate the miscreants and establish the dharmam. But these major incarnations happen once or twice in every yugam. In dhvApara yugam, bhagavAn appears as krishNan. For the ones who missed his grace during rAmAvathAram, krishNAvathAram, etc., bhagavAn appears as archAvathAram and stays in various dhivyadhEsams. This principle is explained by thirumangai AzhwAr in thirunedunthANdagam 10th pAsuram "pinnAnAr vaNangum sOthi thirumUzhikkaLaththAnAyE" (பின்னானார் வணங்கும் சோதி திருமூழிக்களத்தானாயே) - For the benefit of the ones who missed out on your parathvam, vyUham and vibhavam, you have accepted this most radiant form in thirumUzhikkaLam. 94. ugantharuLina nilangaLilE meyyE prathipaththi viLainthArkku anguLLavai ellAm udhdhEsyamAyth thOnRum. உகந்தருளின நிலங்களிலே மெய்யே ப்ரதிபத்தி விளைந்தார்க்கு அங்குள்ளவை எல்லாம் உத்தேச்யமாய்த் தோன்றும். For the ones who have absolute faith in dhivyadhEsams such as thirumalai, srIrangam, etc. which are very dear to emperumAn himself, everything in such dhivyadhEsams will be desirable. Translator's note: dhivyadhEsams are most dear to emperumAn. He descends to dhivyadhEsams to bless his most accessible forms to his devotees and to gather new devotees. Thus, our AzhwArs and AchAryas have shown great attachment towards dhivyadhEsams. For the ones with great faith and attachment towards dhivyadhEsams, everything that is present in dhivyadhEsams are desirable and favourable. Couple of incidents in our pUrvAchAryas lives highlight this. When ananthAzhwAn once descended down from thiruvEnkatam hill, he opened his package of prasAdham and observed some ants in them. He immediately closed his package and rushed back to the hill and let the ants free there. He was fully faithful to the words of AzhwArs who declared even nithyasUris accept various forms to come and serve thiruvEnkatamudaiyAn in thirumalai. 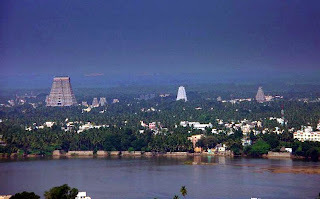 In srIrangarAja sthavam, parAsara bhattar identifies that nithyasUris accept the forms of trees and plants in srIrangam. 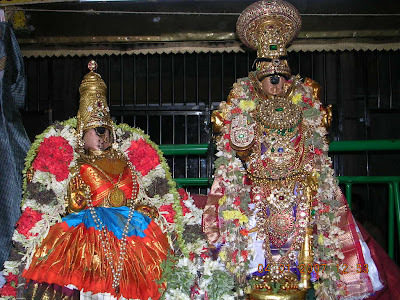 95. aprAkrutha samsthAnaththai ithara sajAthIyamAkkA niRpathu, than janmaththai anusandhiththArudaiya janmangaL pOmpadiyAyiruppathu. அப்ராக்ருத ஸம்ஸ்தாநத்தை இதர ஸஜாதீயமாக்கா நிற்பது, தன் ஜந்மத்தை அநுஸந்தித்தாருடைய ஜந்மங்கள் போம்படியாயிருப்பது. samsthAnam - form; aprAkrutha samsthAnam - divine (spiritual) form. bhagavAn transforms his own divine form (which is untouched by any blemish) into human, animal, etc.,forms as part of his incarnations. He facilitates the jIvAthmAs to meditate on such divine appearances and forms and there by stop their cycle of birth and death. Translator's note: bhagavAn manifests his divine/blemishless form (that is seen in paramapadham) in this world also. This is explained by nammAzhwAr himself in thiruvAimozhi 3.5.5 "angu vaiththu ingup piRanthu" (அங்கு வைத்து இங்குப் பிறந்து) - nampiLLai in eedu vyAkyAnam beautifully highlights from bhagavAn's own words from gIthA slOkam 4.6 "... prakruthim svAm adhishtAya ..." (ப்ரக்ருதிம் ஸ்வாம் அதிஷ்டாய) - I descend with my divine form into this world. And for ones who become attached to his divine birth - they will be freed from the cycle of birth and death. krishNa himself says in bhagavath gIthA 4.9 - "janma karma cha mE dhivyam Evam yO vEththi thathvatha: thyakthvA dhEham punar janma naithi mAm Ethi sOrjuna" (ஜந்ம கர்ம ச மே திவ்யம் ஏவம் யோ வேத்தி தத்வத: த்யக்த்வா தேஹம் புநர் ஜந்ம நைதி மாம் ஏதி ஸோர்ஜுன) - Oh arjuna! One who truly understands my divine birth and divine activities, once they give up their body in this life, they will never be born again in this samsAram. 96. oru prayOjanaththiRkAgap pOvArgaLanRO athukoNdu mILalAvathu. thannaiyE prayOjanamAgap paRRap pOvArkkum mILaviraguNdO? ippadiyEyiRE bhagavath prAvaNyamudaiyAr padi. ஒரு ப்ரயோஜநத்திற்காகப் போவார்களன்றோ அதுகொண்டு மீளலாவது. தன்னையே ப்ரயோஜநமாகப் பற்றப் போவார்க்கும் மீளவிரகுண்டோ? இப்படியேயிறே பகவத் ப்ராவண்யமுடையார் படி. When some one approaches bhagavAn for something other than bhagavAn himself (worldly pleasures, kaivalyam - enjoying ones own AthmA), they can leave bhagavAn once their goal is achieved. But there is no reason to leave bhagavAn for the ones who approached him with him as the goal. This is the position of the ones who are immersed in bhagavAn fully. Four types of pious people approach me - they are Arththa: - one who is distressed, artthArthI - one who is looking for material wealth, jigyAsur - one who in inquiring into self-realisation (kaivalyam) and gyAni - one who has true understanding of jIvAthmA as a servitor of bhagavAn. In the subsequent slOkams, he declare that everyone who approaches him is dear to him - but gyAni (his devotee) is the most dear to him because both him and his devotee have great mutual affection for each other. He goes on to declare that, such gyAnis are like his soul (gyAni tu Athma Eva mE matham). This same principle is explained by poigai AzhwAr in mudhal thiruvanthAdhi pAsuram 26. For all these 3 kinds of people, thiruvEnkatam hill (which is dear to the nithyasUris) itself will remove their sins. nampiLLai in his vyAkyAnam for this pAsuram quotes the above discussed gIthA slOkam and explains the same nicely. 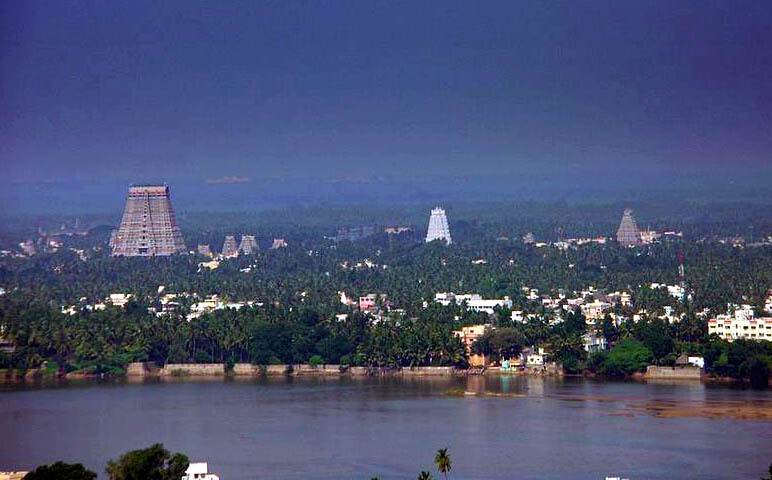 97. ananthasAyithvam sarvAdhika vasthuvukku lakshaNamAgaiyAlE sarvAdhikanE saraNyanengiRathu. அநந்தசாயித்வம் ஸர்வாதிக வஸ்துவுக்கு லக்ஷணமாகையாலே ஸர்வாதிகனே சரண்யனென்கிறது. One of the unique qualities that identify the supreme being is him being the master of AdhisEshan and lying down on AdhisEshan. Such supreme being is the refuge for everyone. Translator's note: There are many unique qualities that are present in bhagavAn only. ubhaya vibhUthi nAthathvam (being the full controller of both spiritual and material worlds), ubhaya lingathvam (two types of identification - abode of all auspicious qualities and opposite to all bad qualities), sriya:pathithvam (being the master of srI mahAlakshmi), ananthasAyithvam (the one who is lying down on AdhisEshan - the serpent bed), puNdarikAkshathvam (beautiful lotus eyed), garudavAhanathvam (being the rider of garudan who is glorified as vEdhAthma), etc. They are to be found in no one else. And such personality who has these unique qualities is the refuge for everyone. nammAzhwAr highlighted this principle in thiruvAimozhi 5.10.10 - "nAgaNai misai nampirAn charaNE charaN namakku" (நாகணை மிசை நம்பிரான் சரணே சரண் நமக்கு) - nampiLLai in his vyAkyAnam for this pAsuram highlights this above sentence. 98. 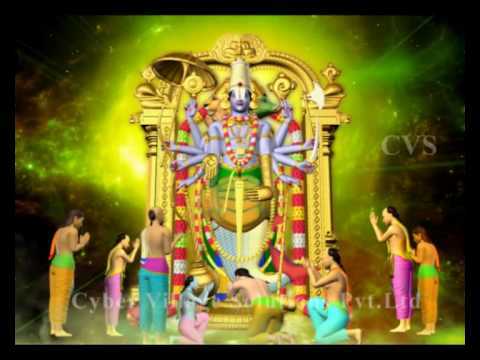 AchAryan vArththai kEttu dhariththal, avan abimAnaththAlE dhariththalozhiya vERonRillai. ஆசார்யன் வார்த்தை கேட்டு தரித்தல், அவன் அபிமாநத்தாலே தரித்தலொழிய வேறொன்றில்லை. For a sishya, there is nothing other than sustaining oneself by the instructions of the AchAryan and by his affection/grace. Translator's note: Of all the upAyams, AchArya abhimAnam is the most apt upAyam for our upliftment. AchAryan first explains the most important principles of bhagavath vishayam and constantly reminds the jIvAthmA about his eternal relationship with bhagavAn. In srIvachana bhUshaNam, piLLai lOkAchAryar explains this principle clearly in the last prakaraNam. 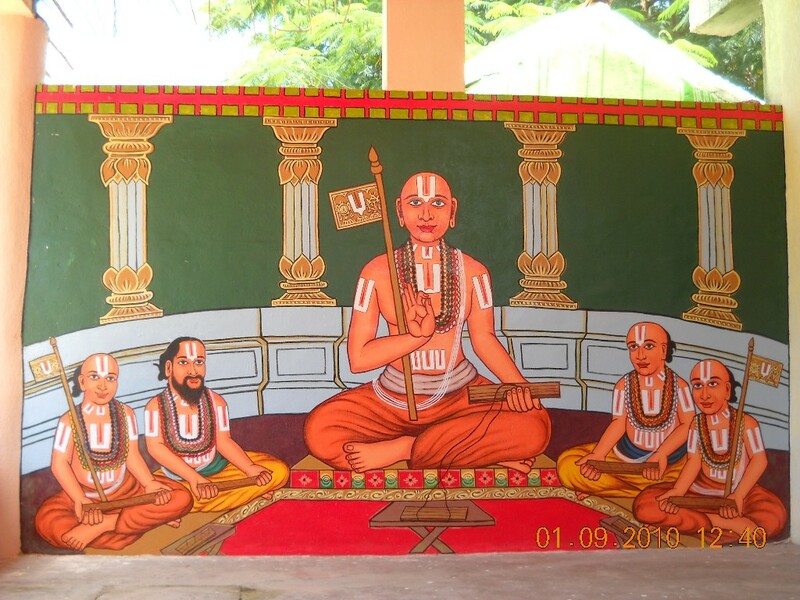 After explaining the glories of panchamOpAyam (AchAryan), in sUthram he summarizes/concludes that "AchArya abhimAnamE uththAragam" (ஆசார்ய அபிமானமே உத்தாரகம்). In the vyAkyAnam, Here AchArya abhimAnam means "AchAryan's merciful affection/grace over the sishyan, seeing the suffering of sishyan in this samsAram - paragatha svIkAram of AchAryan". mAmunigaL nicely brings out the most important principle of our sath sampradhAyam. He says "piLLai lOkAchAryar is establishing the most important principle based on what is discussed before. That is, though bhakthi, etc are identified as the means for mOksham, they are clearly established as not true upAyams. (karma, gyAna and) bhakthi yOgam and svagatha svIkAram of AchAryan (us approaching an AchArya ourselves and considering that as our choice) are not fitting for the svarUpam of jIvAthmA (since they both manifest sva svAthanthriyam). prapathi (towards emperumAn) upAyam is fearful since bhagavAn being supremely independent he may acecpt or reject us. Thus, the causeless affection of AchAryan who has unsurpassed mercy and his constant caring protection on the sishya is the only way for the upliftment of jIvAthmA from this samsAram". 99. svarUpAnthargathaiyAna krupaikkazhivillaiyiRE. athu saththaiyuLLathanaiyum vilaich chellumiRE. ஸ்வரூபாந்தர்கதையான க்ருபைக்கழிவில்லையிறே. அது ஸத்தையுள்ளதனையும் விலைச் செல்லுமிறே. krupai (mercy) is a natural quality of bhagavAn. It never diminishes. As long as there is mercy, bhagavAn will be glorified. Translator's note: bhagavAn's krupai is the most important quality in him. It is because of his nirhEthuka krupai, he constantly attempts to uplift jIvAthmAs. Out of his nirhEthuka krupai, he induces attachment towards him in the hearts of jIvAthmAs. When the jIvAthmAs stop rejecting his grace, they become realised of their true identity. azhagiya maNavALa perumAL nAyanAr's AchArya hrudhayam is the most classic literature of our sath sampradhAyam. In this grantham, he fully reveals the divine emotions and philosophy of nammAzhwAr. In chUrNikai 218, nAyanAr identifies that each centum of thiruvAimozhi explains a particular quality of bhagavAn and each such quality of bhagavAn nurtures a corresponding activity in nammAzhwAr. In this chUrNikai, the 5th centum of thiruvAimozhi is identified as explaining the kAruNikathvam (merciful/graceful nature) of emperumAn. Through such mercy, nammAzhwAr is identified to have developed unlimited love for bhagavAn. nAyaNAr in his AchArya hrudhayam, chUrNikai 165, identifies that nammAzhwAr enjoyed bhagavAn's krupai in thiruvallavAzh (5.9 - mAnEi nOkku) dhivya dhEsam - "melivilum chEmam koLvikkum krupai thennagarilE Nithyam" (மெலிவிலும் சேமம் கொள்விக்கும் க்ருபை தென்னகரிலே நித்யம்) - . Thus we can understand the glorious nature of bhagavAn's krupai and its effect by studying the glorious life and teachings of nammAzhwAr. 100. nammAchAryargaL vyApaka manthirangaL mUnRilum dhvayaththaiyE AtharippargaL. நம்மாசார்யர்கள் வ்யாபக மந்திரங்கள் மூன்றிலும் த்வயத்தையே ஆதரிப்பர்கள். bhagavAn's nature and glories are explained by two categories of manthrams - vyApakam and avyApakam. vyApaka manthrams are considered to be higher than avyApaka manthams. All 3 vyApaka manthrams - thirumanthram (nArAyaNa manthram), vAsudhEva manthram and vishNu manthram are glorious. Of these, our pUrvAchAryas gave higher importance to dhvaya mahA manthram. Translator's note: In the beginning of mumukshuppadi, piLLai lOkAchAryar explains the two categories of manthrams. "That which protects the reciter" is called a manthram. A manthram is made of 3 parts usually - praNavam (which reveals the true relationship between jIvAthmA and paramAthmA), thirunAmam (a name of bhagavAn which is the object of meditation) and nama: (accepting that bhagavAn is the upAyam - means). vyApaka manthrams speak about bhagavAn's sarva vyApthi (omni-presence - being pervaded everywhere). 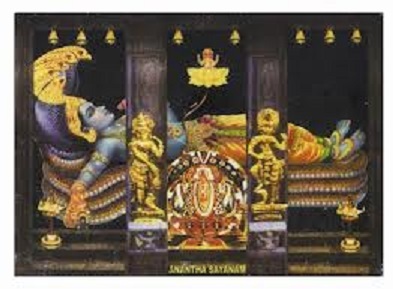 There are 3 vyAkapa manthrams - nArAyaNa, vAsudhEva and vishNu manthrams. avyApaka manthrams speak about various auspicious qualities, leelais,etc of bhagavAn (Example: kEsavan means destroyer of kEsi (the horse demon), one who has beautiful hair, etc). vyApaka manthrams are considered to be top-most since they reveal the true nature of bhagavAn. vishNu manthram - shadakshari - 6 lettered - Om namO vishNavE - this simply says he is pervading based on the etymology of the word vishNu (vishl - vyApthi - pervasive). vAsudhEva manthram - thiru dhvAdhasAkshari - 12 lettered - Om namO bhagavathE vAsudhEvAya - "sarvasya vasathi ithi vAsudhEva" - one who pervades everywhere. while this says bhagavAn is pervading everywhere, it does not explain the full auspicious nature of bhagavAn - though, "bhagavathE" in this manthram identifies the 6 auspicious qualities of bhagavAn - its still not complete in all aspects. nArAyaNa manthram - ashtAkshari - eight lettered - Om namO nArAyaNAya (also known as thirumanthram) - nArAyaNa explains bhagavAn's full auspicious nature. From this name, we understand that bhagavAn is residing in all chith and achith (sarva vyApakathvam) and both chith and achith are also sustained/held by bhagavAn (AdhArathvam). Since bhagavAn's true nature is fully revealed in this manthram, this is considered as the top most manthram. dhvaya mahA manthram is further expansion of thirumanthram and it reveals the relationship with srIman nArAyaNan and srI mahAlakshmi clearly. Thus our AchAryas held this manthram in high esteem and showed great attachment towards it. It gives such inner peace each time adiyen reads devarir's posting. Pray unto the lotus feet of Divya Dhampathis to grant you more kainkaryasri.